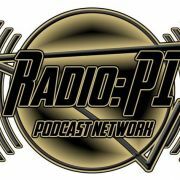 Every interview from every show on the Radio:PI Podcast Network and the Pens Initiative. January 29th, 2014: Ian Altenbaugh- Hockey's Future The Eastern Conference editor of Hockey's Future, Ian Altenbaugh, took time out to talk the Penguins, and the Super Bowl, with Mike Asti on the latest 412 Sports Talk. January 16th, 2014: Mike Colligan- Forbes.com Mike Colligan of Forbes SportsMoney, and Hockey Writers scribe, sits down with the Radio:PI crew to discuss what lies ahead for the Penguins. January 8th, 2014: Joe Depto- TheHockeyGuys.net TheHockeyGuys.net loans us Joe Depto to start off the New Year with some sharp Penguins talk on 412 Sports Talk. December 18th, 2013: Dale Lolley- SteelerNation Radio The Observor-Reporter 's Dale Lolley, also part of SteelerNation Radio, joined Chad and Mike to talk about the Steelers lost season. December 11th, 2013: Josh Yohe- Pittsburgh Tribune-Review Our favorite guest, Josh Yohe of the Trib, re-joined Mike and Chad to discuss James Neal's suspension and what the Pens can do in his absence. December 4th, 2013: Chris Morelli- Centre County Gazette The Centre County Gazette's Chris Morelli joins Mike and Chad to discuss Tomlin's trip and the renewal of the Pitt/Penn State rivalry. December 4th, 2013: Steel Dad- SteelCityBuzz.com Steel Dad of SteelCityBuzz.com joins Mike and Chad again to discuss Mike Tomlin's trip and the Steelers playoff hopes. November 20th, 2013: Dom Errico- Voice of Pittsburgh Power The voice of the Pittsburgh Power joined Mad Chad on 412 Sports Talk to discuss the Power, the Steelers, and more.